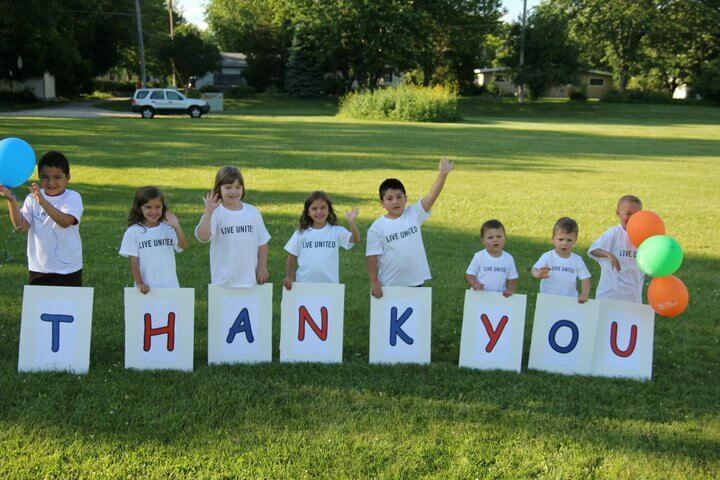 United Way is proud to say a deep and heart felt “Thank You” to volunteers April 21-27th! April is all about volunteers! National Volunteer Week is a time to celebrate people doing extraordinary things through service. Established in 1974, National Volunteer Week focuses national attention on the impact and power of volunteerism and service as an integral aspect of our civic leadership. The week draws the support and endorsement of the president and Congress, governors, mayors and municipal leaders, as well as corporate and community groups across the country. April 26 – 28 youth from all over Dane County will join young people around the world in celebrating the 25th anniversary of Global Youth Service Day (GYSD). As the largest service event in the world, GYSD caps National Volunteer Week in the United States, and coincides with other major international events, such as Earth Day. GYSD is celebrated in more than 100 countries, and recognizes the positive impact that young people have on their communities 365 days a year. Organized by YSA (Youth Service America), a leader in the international youth service movement, Global Youth Service Day offers youth, ages 5 to 25, the resources and support to plan meaningful projects that improve their communities. On April 28, teens, high school and college students will join together to share the importance of early childhood education and literacy at Red, White & Read. United Way of Dane County, UW-Student United Way, and Student Athletes Equally Supporting Others are coming together from 2:00-4:00pm at the Madison Public Library- Sequoya Branch located at 4340 Tokay Blvd to show local kids that reading is fun! Everyone is invited to join Bucky Badger and other UW-Madison Athletes for an engaging day of reading. Additional activities at the library will include opportunities for parents, caregivers, and children to learn through play at Play and Learn, circle time and lots of interactive reading stations. This event is free and open to the public. These youth join millions of other young people around the world who are creating community change as part of Global Youth Service Day, the world’s largest and longest-running service event. United Way of Dane County will honor the outstanding work of volunteers at our Community Volunteer Awards on April 29th at the Madison Concourse Hotel and Governor’s Club. Youth, businesses, family/group and individual volunteers will be honored for their volunteer effortsthat tackle the underlying causes of problems in our community. Major awards include the annual Mike McKinney Award, the Lifetime Achievement Award, Goodman Youth Gemstone Award, and Community Volunteer Awards. The winner of each will receive $1,000 to be sent to a qualifying nonprofit of their choice. And the winners of the Distinguished Service Awards will get $250 to send to the qualifying nonprofit of their choice. The contributions for award recipients and the event are generously presented by CUNA Mutual Group and WKOW Channel 27 and sponsored by Dean Clinic, Group Health Cooperative of South Central Wisconsin, Physician’s Plus, and St. Mary’s Hospital. If you want to be involved in the volunteer movement or are looking for a way to give back this week, log onto www.unitedwaydanecounty.org and click on the VOLUNTEER button. Looking for Volunteer Recognition Resources? Click on the Links Below.